This is a light album from the Fellowship band, both artistically and quantitatively. Body and Shadow runs under 32 minutes and doesn’t contain much. Seven of its nine tracks are atmosphere and little else. You keep waiting for something to happen, and nothing does. Brian Blade is one of the finest drummers of his generation—he’s at the top of the list whether playing with extreme sensitivity or going full-throttle—so this album is a mystery. It’s as though he told his Fellowship Band—guitarist Dave Devine, pianist Jon Cowherd, bassist Chris Thomas and saxophonists Melvin Butler and Myron Walden—to pretend they were making the soundtrack to a movie in which people sit around talking and gaze thoughtfully out of car windows. The three sketches titled “Body and Shadow,” which feature Devine, are willfully, almost painfully arty. Two versions of the hymn “Have Thine Own Way, Lord”—one an unaccompanied solo by Cowherd on harmonium, the other featuring the band—have so much potential, but Blade affords each barely a minute apiece, so they go nowhere. Moreover, the rudimentary drumming that pervades most of this record is beneath Blade. Only on two songs does the band come to play—and rise to the high standards that Blade has set for so many years. The richly textured “Duality” features an increasingly emotional tenor saxophone solo from Butler, with Devine darting in and out of it and Blade finally putting his polyrhythmic talents to use. “Broken Leg Days” finds Blade churning the rhythm in an understated manner while the saxophonists weave lines that are both sophisticated and heartfelt. Each is a wonderful piece of writing and a fine example of 21st-century jazz. On the whole, though, Body and Shadow feels insubstantial and incomplete. It was once unthinkable that Blade could make a lackluster album. Now he’s shown us that he can, in fact, do anything. 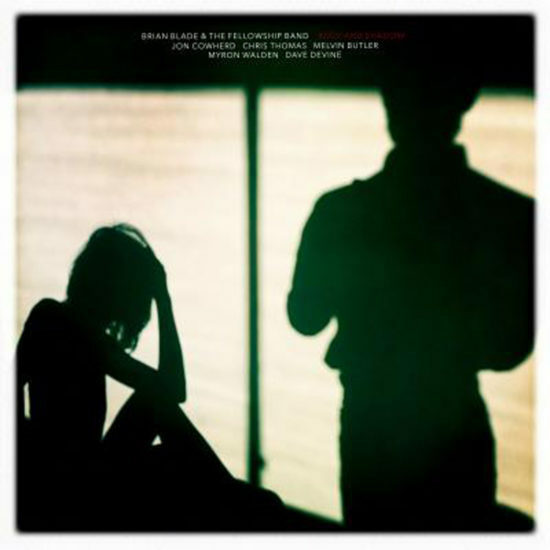 Preview, buy or download songs from the album Body and Shadow by Brian Blade & the Fellowship Band on iTunes.